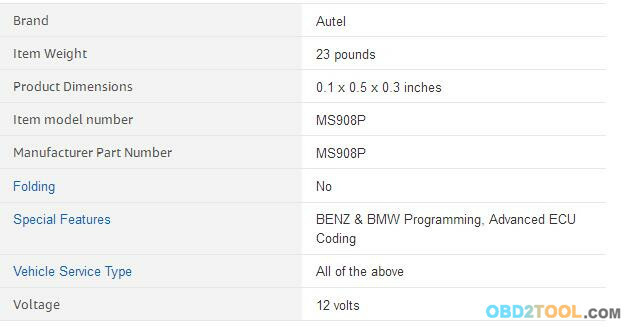 * Extensive System Coverage: Works on over 80 US domestic, Asian and European makes and models. 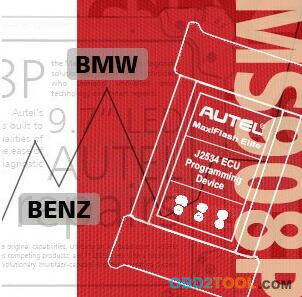 * High-Level Configuration: Comprehensive OE-Level diagnostic & services, advanced ECU coding and programming for pro tools. 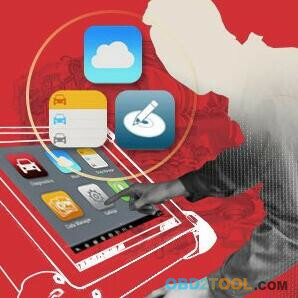 * Auto-Vin Tech: Smart AutoVIN technology for fast and precise identifying vehicles in one touch to scan ECUs, acquire vehicle info and run diagnostic on selected systems. * Superior Diagnoses and Analysis: Equipped with complete capabilities of graphic live data, actuation tests, adaptations, matching and ECU information. * DTC Definition: Display DTC description and data values associated with the specific DTC at the moment it occurred. * Optional Add-ons Compatibility: MaxiScope Oscilloscope ready with installed MaxiScope app (MP408); Video Inspection Camera (MV108&MV105) ready with installed Digital Inspection app. 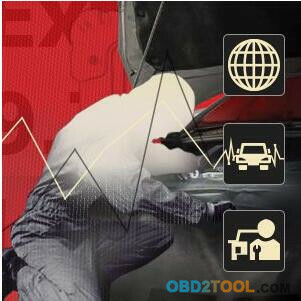 * Shop Manager: One-stop multitasking designed for ideal management of workshop operation to keep all data files, customer information and vehicle records, convenient for related information search and helpful for time-saving. * Update Notification: Automatic system and software updates with real-time push message notification via internet. 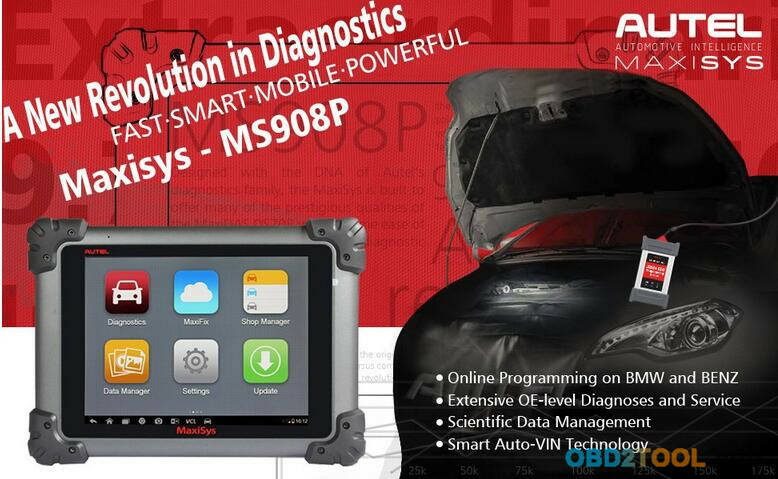 Maxisys Pro MS908P is capable of flash programming on Benz and BMW. The equipped MaxiFlash Elite (J2534) is compliant with protocols of SAE J2534-1 & SAE J2534-2. 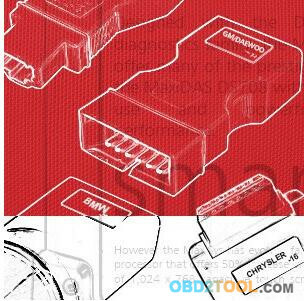 Long distance is allowed to connect the J2534 box and Main Unit with quick verification icon. The 9.7-inch super multi-touch screen, protected by the strong rubber housing, is convenient for you to read very clear information on one interface with ultra-fast reaction via Wi-Fi. 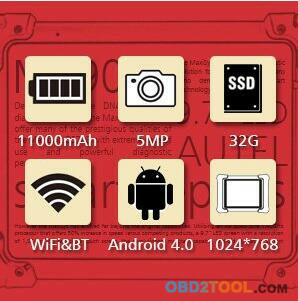 No need to worry about the battery because it can continuously work for 8 hours.